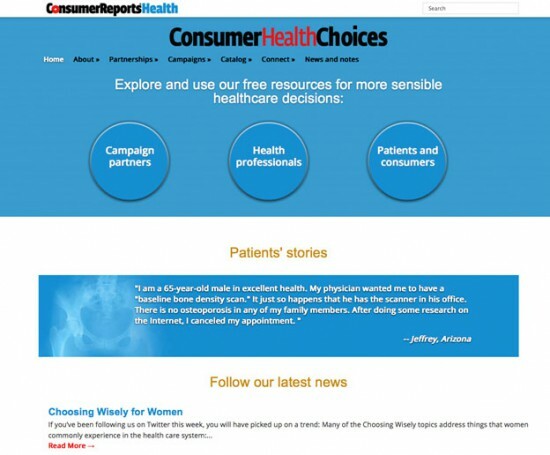 Consumer Health Choices is a micro-site for Consumer Reports Health. Design and develop a vehicle to catalog and deliver hundreds of articles, downloadable documents and videos. 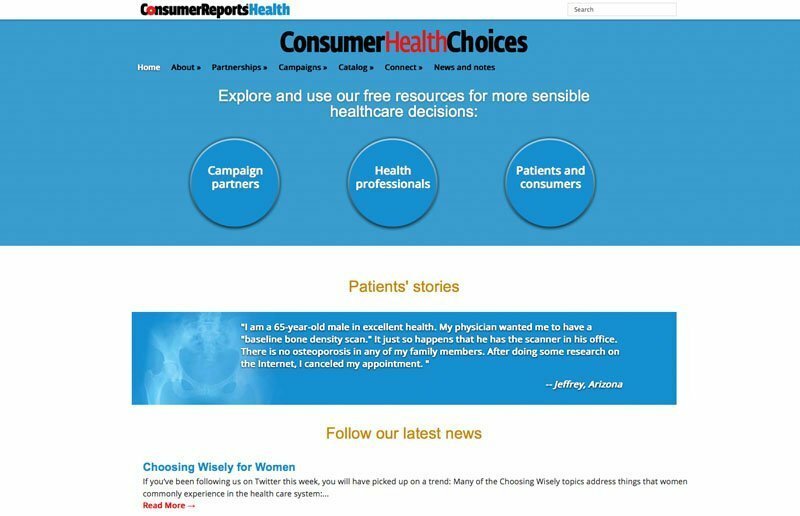 The site needed to be compatible with the Consumer Reports look, be user friendly, and display the content in multiple ways. The quantity of content and variations to display the content required that an efficient back-end management system be developed. A catalog interface was designed and refined over a couple of generations. A front-page display and branching was organized and developed helping the wide range of users find the right path to content. Custom back-end processes were developed to manage and compile the materials in a variety of displays. Back-end and front-end filtering systems were employed.